Whether you're a beginner trying to pluck the right notes to "Stairway to heaven", a seasoned player looking for a mid-priced upgrade, or an enthusiast somewhere in between, you're going to want a good acoustic guitar that won't make your audience wish your strings would snap. There are plenty of acoustic guitars to choose from, and if you're new to the market let me tell you, you're going to want to spend at least $250 to avoid strumming lousy sounding notes of regret. If you're a long-time pro then a guitar under $1000 is probably not the best choice for you, but for anyone looking for a simple, smooth-playing acoustic guitar that will do just what you need it to do, this list is a great place to start. 2. Seagull S6 "The Original"
Forget about the whole "you get what you pay for" for just a minute, because this insanely good acoustic guitar is way under budget. 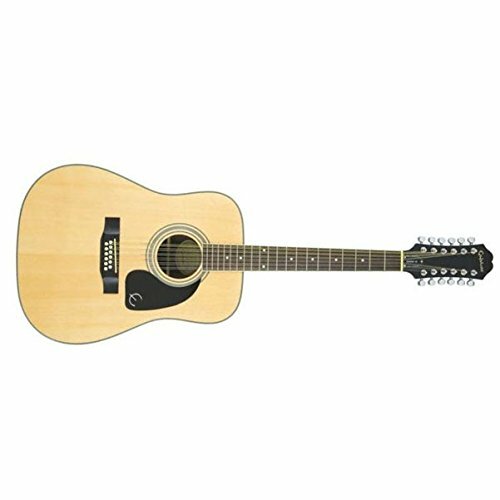 With hundreds of positive reviews backing it up, the Epiphone DR-212 Dreadnought 12-string has proven itself to be the ideal guitar for beginners and casual players. Constructed almost entirely out of Mahogany, this budget-friendly gem promises quality sound, a great feel, and an extremely durable guitar. It's ideal for learning your strings and strumming out your first songs, so for such a low price it's definitely worth checking the Epiphone out. It has the look of your standard acoustic and plays like a dream, what's not to like? Ah, the simple yet elegant Seagull S6. Priced at a humble price point, the Seagull S6 is a top favorite among mid-priced acoustic guitars. Praised for being the perfect "road trip guitar", the S6 features a solid Cedar top, wild Cherry back and sides, a Rosewood fretboard, and a Maple neck. You can really hear the quality Canadian craftsmanship when playing this soft-sounding guitar, which has proved to be ideal for beginners and advanced players alike. It's worthy to note that the Seagull S6 has a slightly larger nut width than your typical guitar, making it a very comfortable choice for those with larger hands. It also boasts a Tusq nut and compensated saddle (for better intonation) with a lovely semi-gloss lacquer finish. It looks like a work of art and plays like one too. Your bank account will surely agree that the Seagull S6 is an excellent guitar for a very decent price. If you're looking for a vintage look then you're in luck, the Blueridge BR-160 Historic Series Dreadnought Guitar is priced at $682 on Amazon, making it a nice middle choice where you'll receive a traditional acoustic guitar more than capable of modern performance. This 30's style Blueridge boasts a Sitka spruce top with scalloped braces for a nice, crisp tone, while the solid Indian Rosewood back and sides delivers a deep bass. The neck is made from Mahogany and the Rosewood fretboard delivers the smoothest playability while giving you a great vintage guitar that'll be with you throughout the good and bad. The glowing customer reviews describe the Blueridge's thousand dollar sound as "incredible" for such a great price, so if this is your kind of guitar, your search ends here. 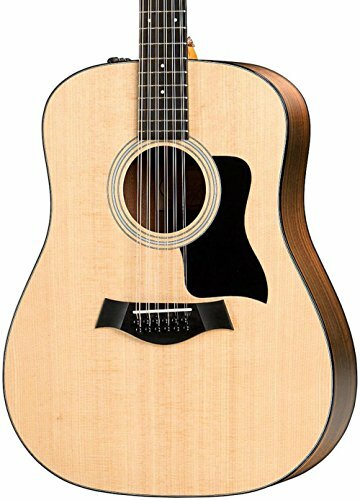 Set at a slightly higher $749, the Taylor 150e Dreadnought is a 12 string acoustic-electric guitar which promises amazing value at a very decent price. are known for their impressive bass, and this Taylor is no different. With solid Sitka spruce back and sides, a Sapele neck re-enforced with genuine African Ebony wood, this is a no-frills acoustic guitar made for incredibly easy playability and long-lasting performance. 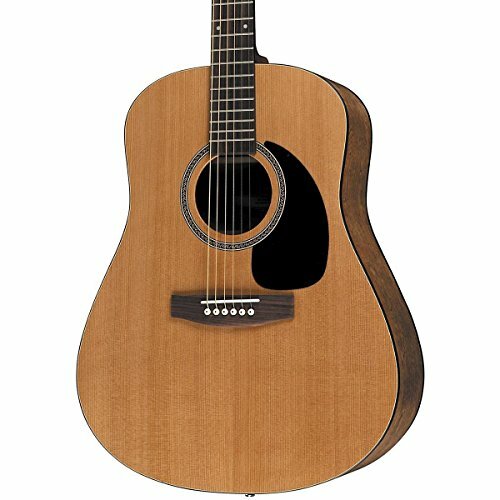 For a 12 string made for both beginners and pros, the low cost of the Taylor 150e is almost unfathomable. But the internet people have spoken, and their words are of genuine praise. It's a breeze to play and a pleasure to look at, so if you don't want to go wrong with your purchase, the Taylor is a no brainer. 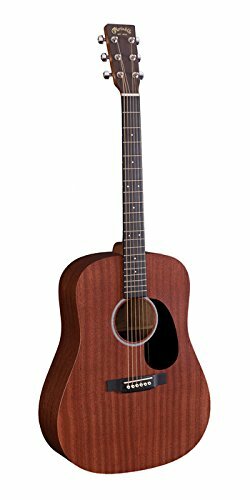 Here's one for the Martin fans, the Martin Road Series DRS1 Dreadnought Acoustic-Electric Guitar, priced at $759 on Amazon. Designed for working and traveling guitarists, the Martin is made of solid Sapele wood, which has a similar quality to mahogany but is more affordable and adds a little more treble clarity on the high end for a fuller, brighter tone. The neck of the guitar, however, is made of real Mahogany for added durability, while the fretboard is Richlite to achieve that sleek, ebony look. This model (like the Taylor 150e) is an acoustic-electric guitar, and even if you're a beginner without an immediate intention to plug it in, you'll more than likely want to work up to it once you really get your fingers going. So it's not a bad idea to have a guitar like this to have your back when you do. With shining customer feedback including phrases like "outstanding piece of musical magic" and "warmest sounding guitar available", it's easy to see why this particular Martin is constantly suggested for consideration to searching guitarists. This Canadian-made beauty is currently set at $949 on Amazon, and has nothing but rave reviews on how gorgeous it looks and how stunningly rich and warm the sound is. The Seagull Artist Mosaic is definitely toeing the budget line, but for high quality wood that allows for a beautifully bright tone, it may just be worth it. The Artist Mosaic is an all solid wood acoustic with a cedar top and mahogany neck, back and sides. It features a Rosewood bridge and fretboard with a wider string spacing, which according to customer reviews makes this fine guitar optimal for fingerpicking. Others chime in with the note that the sound of the Artist Mosaic is noticeably warmer than the Seagull S6, if that serves to sway your wallet hand. The Seagull S6 is noticeably a highly recommended acoustic guitar for all ranges of talent, and if you've arrived to the end of this list without a clear choice in mind, then the S6 is a sure-fire purchase for amazing playability that won't let you down. Hopefully, this list of acoustic guitars will help narrow down your search, but even if you do choose to continue the hunt for the perfect fit, keep in mind that each guitar is unique and there are no universal guidelines for the "best acoustic guitar" that'll strike the hearts of every single player. So just remember that in the end what makes you decide on the best acoustic guitar is how it feels and sounds to you. Pro tip: listen to someone else play the guitar since it sounds differently than when you're playing it yourself. So weigh your options, choose your weapon, and get strumming!